Absolutely amazing stucco home with walk-in ''WOW'' appeal!! This beautiful home has been entirely remodeled top to bottom in 2017! It is like moving into a new house. Very current open floor plan and updated living style. You walk in to a beautiful oversize kitchen with a huge island. Large dining area with a cozy gas fireplace, opens to a very well-designed great room with surround sound to this entire area. 3200 square feet, wonderful master suite with oversize tub in master bathroom and walk-in closet area. Three bedrooms PLUS a large office area. There is a large family room and two of the bedrooms downstairs. A brand new 2-car garage was added to the back of the house with access from Englewood. 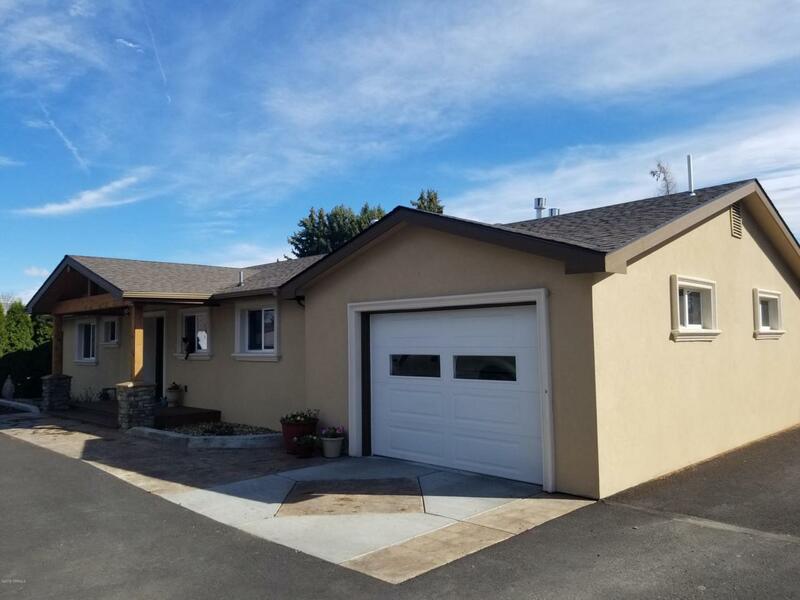 The entire exterior was refinished in stucco with a large front porch.Also: new gas furnace, new electrical panel, new roof, auto sprinklers and driplines all around. This could be your dream home!! !